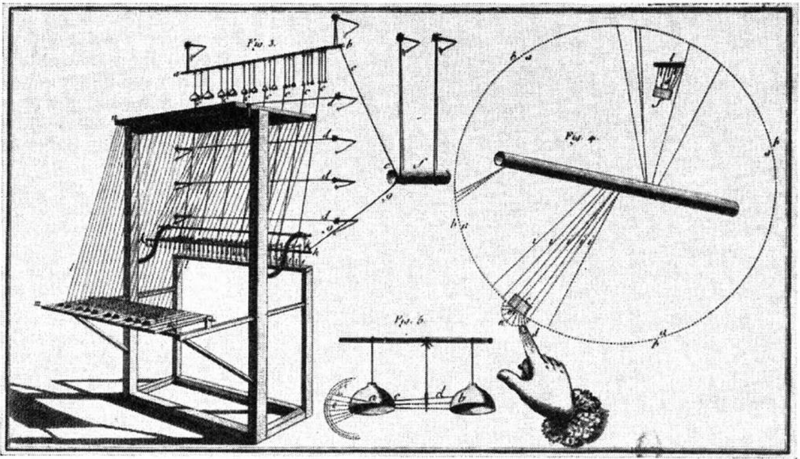 ‘Clavecin Électrique’ . Jean-Baptiste Delaborde, France. 1759. Two metal bells tuned in unison are hung, one with a silk thread, one with a wire onto a metal rod itself both hanging free by means of a silk thread at each end. Based on the principles of static electricity a beater, also hung on a silk thread is alternately attracted and rejected by each bell as soon at is released through holding down a key, n positive and negative fields being created in the bells. Delaborde added that during a performance in a dark room the listener’s “eyes are agreeably surprised by the brilliant sparks” that were produced by the instrument and that “the clavessin became at the same time audible and visible” . 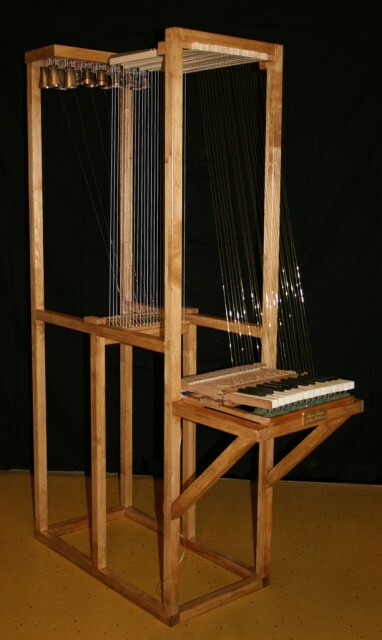 This phenomena may have lead to the creation of the Clavecin Oculaire by the fellow Jesuit Louis Bertrand Castel, an early exploration of the relationship between pitch and colour. The Clavecine Électrique was well received by the press and the public but wasn’t developed further. The model Delaborde himself built survives and is kept at the Bibliothèque nationale de France in Paris. Your work is truly remarkable and a great source of inspiration ! Note that the historically correct spelling here in de Laborde’s book is “clavessin” (not “clavecin”) ; at that time the word does not really mean a “harpsichord” (a plucked strings keyboard instrument) but more generally a keyboard instrument (“Clavier” being any arrangement of “claves” = “keys”) (It seems that de Laborde wanted to come out from the numerous chimes and little bells arrangements which everyone experimenting with electricity owned at that time).